thank you to all the musicians, volenteers, and of our company sponsors for getting behind such a personal cause and for standing up for community, health, & a higher standard of business. together we can better the ways that we care for ourselves, one another, & our mother earth. When it comes to meeting challenges, our response is simple: We serve. 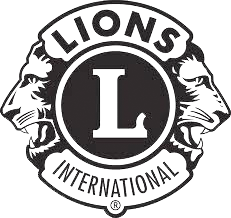 It’s something that unites Lions around the world. And it’s unconditional. Lions aren’t limited by continents or restricted to certain causes. We help wherever, whenever and however we can. Based on the Rice family’s values, Sunstone is an environmentally responsible company dedicated to organic grape growing, worker health, recycling and reusing whenever possible. We are completely dedicated to excellence in grape-growing, winemaking, hospitality and a highly-ethical responsibility to the people we hire and serve. Jim and Jaime Dietenhofer are a father & son team with a passion for quality beer. Both businessmen and entrepreneurs, they’ve grown their companies on hard work and quality products. Jim raised his family in the Santa Ynez Valley along with wife Judie, and have enjoyed its natural beauty and the character of its inhabitants for years. 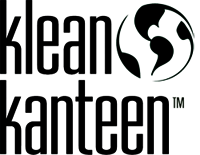 Every time you refill your Klean Kanteen®, you’re making a positive choice for your own health and for the health of our planet. What you put into a Klean Kanteen® is exactly what comes out. Plus you prevent another plastic bottle from going into a landfill, or worse, into the ocean. Over a week, a month, or a year, that really adds up. Today, more than 10,000 individuals benefit annually from HELP programs and services. From rides for seniors to nutritional programs to adult daycare, youth educational opportunities and mentoring programs, to a highly esteemed Adopt-A-Family program that rallies the entire community during the holiday season, HELP has strategically and compassionately stood in the gap and managed to maintain a personal and caring touch along the way. As a guitar manufacturer, Taylor recognizes its role as an active participant in a worldwide ecosystem — both literally and figuratively — in which natural resources must be managed responsibly to safeguard their future. 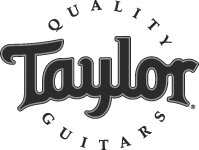 We take our responsibility to the environment seriously, and want customers to feel assured that when they purchase a Taylor guitar, they are supporting the highest levels of ethical, eco-conscious business. Having grown up in this unique valley, it’s no wonder that Ojai-native, Jeff Lennon (aka Papa Lennon) wanted to recreate the intimate small town feeling he remembered as a child. Nestled in an area that is reminiscent of Ojai 30 years ago, you’ll find venturing off the beaten path was well worth the journey. High Country Kombucha is brewed high in the Colorado Rocky Mountains with only pure spring water. All ingredients are sourced in their organic form and concentrated flavoring is never used. High Country Kombucha offers the highest quality, strongest Kombucha on the market, all while maintaining a small company status. The story of the Farmer and Cook began at the beginning of the century when Olivia and Steve bought a $9.00 organic tomato and said to each other…. (neither one will take the blame at the moment) “wouldn’t it be great to have a farm and market, so everyone could afford to eat organic vegetables”. Brewhouse Brews are handcrafted for your enjoyment right on the premises. This ensures the freshest possible beer, as the brew you drink did not have to survive a journey from St. Louis, Chico, or even Paso Robles. In fact, it has never traveled more than a few feet (except when it comes over the pass on special occasions like this). We brew in small, seven barrel (201 gallon) batches. A bounty of organic produce generously provided by BD of Earthtrine Farms. BD is a person of many talents including organic farmer, business man and family man. Look for him and his crew at the Ojai Certified Farmers Market each Sunday under the Earthtrine banner. 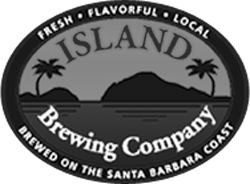 Island Brewing Company has been brewing in Carpinteria, CA since July, 2000 and has steadily gained a following of enthusiasts along the Santa Barbara coast. 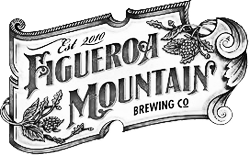 Owner and brewer Paul Wright began his brewing adventures after receiving a homebrew kit for Christmas in 1991 in Novato, CA. He joined the local brew club and started winning awards for his beers.